Set in the heart of the stunning Yarra Valley, Zonzo Estate is surrounded by 45 acres of vines and perfectly manicured lawns. With the capacity to seat 130 people to have a banquet, Zonzo Estate with the breathtaking view of rolling hills and vineyard, are the perfect choice for an Intimate and Candid Wedding. For the wedding ceremony, Zonzo Estate really has multiple options for you. You could choose an outdoor wedding ceremony to enjoy the 360 degrees of the picturesque natural view. 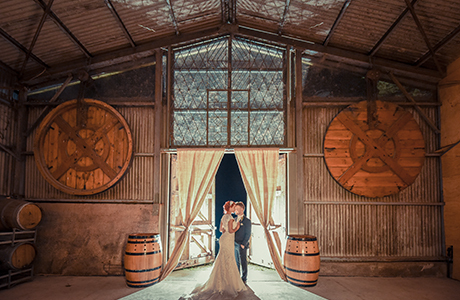 If you prefer to stand in the shade or when the weather turns wet, the huge barn with the cellar door backdrop is a popular choice. The recently build chapel is another choice for your indoor wedding ceremony if you want to try something unique. In Melbourne, most of the brides DIY their dream weddings. However, this could be a bit complicated than most people imagine. At Zonzo Estate, with the newly renovated bridal suite, you can simply have the bride’s preparation, wedding ceremony, wedding portraiture and wedding receptions all together. So you could have a more running smooth and stress-free wedding day. 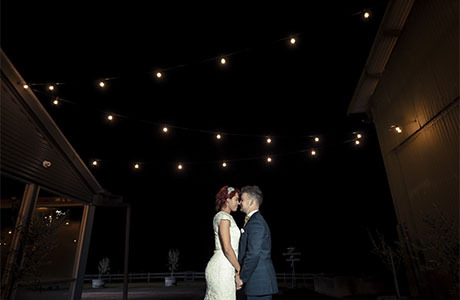 As a wedding photographer, I have been Zonzo Estate several times to shoot a wedding. From my own perspective, it is a perfect venue for Natural and Rustic Weddings. Should you have any questions to plan a wedding or for the wedding photography at Zonzo Estate, please do not hesitate to Contact Us for the suggestions and information from a wedding photographer’s eye.